His Portrait is No Different from Him! It was a sunny morning. Sri Swamiji (HH Maharanyam Sri Sri Muralidhara Swamiji) had just returned from a tour. After his morning ablutions, he started out to Premika Bhavanam (his place of satsang in Chennai city). As we were on our way, suddenly Sri Swamiji summoned me to go to a devotee’s home. This devotee is one of the earliest devotees of Sri Swamiji, who has devoted his life fully towards serving the Master. 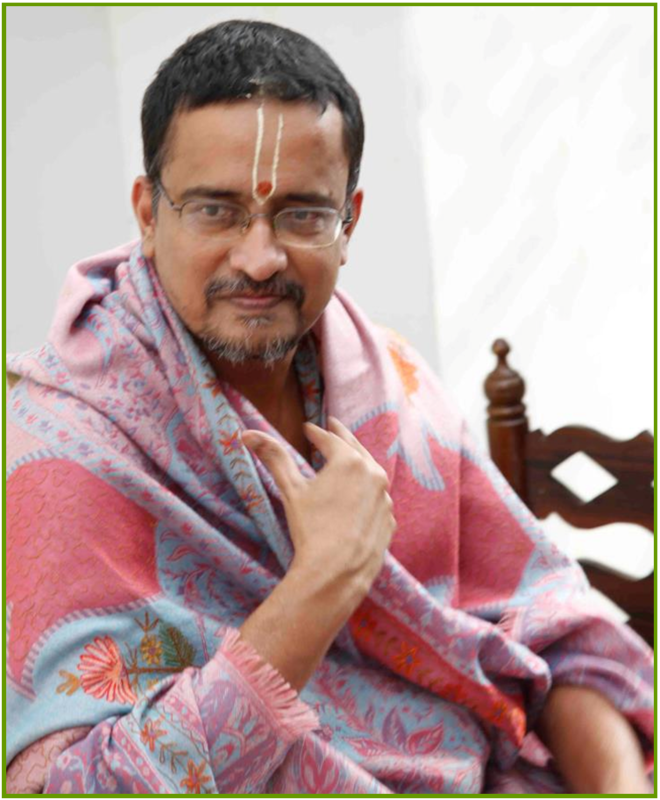 He takes care of the Madhurapuri Ashram and is a personification of Guru Kainkarya. His mother had the fortune of having Sri Swamiji’s darshan quite often. She had then recently undergone a surgery for a fractured leg and was recovering from it. The matter did not stop there, thanks to her strong will. The argument reached its peak and finally, he remarked, “Well! Sri Swamiji often says that He is no different from His portrait. Walk down to the pooja room and talk out your desires in front of His picture.” She earnestly walked down and spoke out to Sri Swamiji’s portrait expressing her thirst for Sri Swamiji’s darshan. This had happened that very morning! I realized that it was at that very instant that, out of the blue, Sri Swamiji made me veer the car to the direction of the devotee’s home! Haven’t we read about such incidents in books about Mahans and Saints? It is indeed true that the portrait of a Guru is no different from Him. Wherever we are, in whatever state we are, if we think of Him with earnest faith and devotion, it reaches Him immediately.